As I explained in the introduction post, this stay was in conjunction wth the SPG Amex Stars program I participate in. This four night stay was intended to highlight the benefits of the Starwood Preferred Guest® Credit Card from American Express and the Starwood Preferred Guest® Business Credit Card from American Express, in particular since the cards underwent a refresh in August. As part of this refresh, the cards both have waived foreign transaction fees, making them great options for spending while abroad. 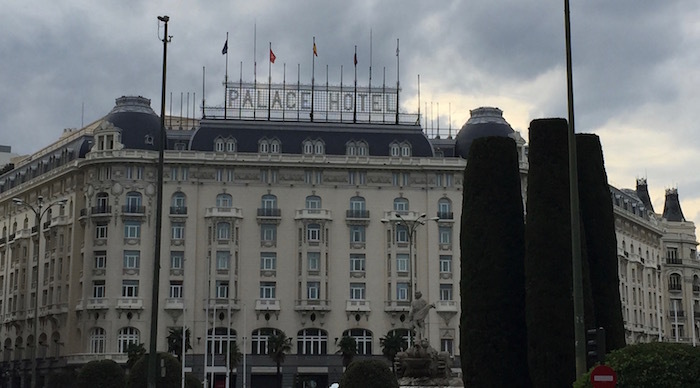 It’s worth noting that the Westin Palace Madrid is a Category 5 Starwood property, making a free night redemption 12,000-16,000 Starpoints per night. Keep in mind that if you redeem points for a five night redemption, the fifth night is free. In my instance the rate was paid by the SPG Amex, and it was ~260EUR per night. Upon landing in Madrid I took a taxi from the airport to the hotel, which took about 25 minutes. Madrid taxis have a flat rate of 30EUR to/from the airport, for what it’s worth. The hotel’s exterior was gorgeous. The hotel is over 100 years old, so has an exterior which looks classic without being run down. The property is equally gorgeous at night. Upon arriving at the hotel I was assisted by the bellman and directed to the check-in desk, but not before noting the signage on the outside of the hotel. …while it also had the Westin branding. I find it sort of interesting that there are several Westin hotels in Europe which are in unique historic buildings. Generally I would assume those kinds of hotels would be Luxury Collection rather than Westin, but that’s not the case here. The hotel’s lobby was equally gorgeous and classic, with a lot of the original features from over 100 years ago. The reception desk was located to the left of the entrance, where I was helped immediately. I arrived at the hotel fairly early, at around 8AM, so my room wasn’t quite ready yet. However, they processed my check in and suggested I come back in a couple of hours, at which point my room should be ready. I had a seat in the lobby and got caught up on some work using the hotel’s free wifi (no password was required), and within about an hour the same associate who checked me in approached me with the keys for my room. I took the elevator up to the second floor, where my room was located. Since this is a 100+ year old hotel, the elevators are on the small side, presumably as they’re the original ones. On the second floor I found a beautiful seating area by the elevators. I turned right and walked down to the end of the hallway, where I found my suite, #223, on the left. The suite had double doors, which is how you know you’re in for a nice hotel stay. I had been upgraded to an executive suite, which was rather huge. The suite featured a foyer past the entrance, with a guest bathroom to the left. The guest bathroom had a sink and toilet, and some rather quirky wallpaper. Past the foyer was the massive living room. The living room had a couch with two chairs and a coffee table in the center of it. The seating area faced a flat screen TV. Then to the right of the entrance was an oval dining table with four chairs. Past that was the minibar and complimentary bottled water, which was replenished daily. The room faced the Fuente de Neptuno. Even though I was “only” on the second floor and facing a busy roundabout, street noise was limited, so I guess the hotel’s sound insulation is quite good, especially for an old hotel. Past the living room was an office area with a desk, and then the bathroom to the left. The desk was rather simple, and was near a window. Past the office area was the bedroom, which featured a super comfortable king size Westin Heavenly Bed. I loved the quirky wallpaper in the bedroom, and especially appreciated having a “proper” Westin bed. Next to the bed was a small seating area with two chairs next to the window. The suite’s main bathroom featured two sinks, a tub, a shower, and a toilet/bidet. Even though this is a “historic” hotel, the showerheads were typical of the Westin brand, so had excellent water pressure. The hotel also has the standard Westin amenities and toiletries. Overall I thought the room was stunning. Not only did I get a great upgrade, but I appreciated that the decor was unique and original without being run down. Wifi in the room was fast, and I especially loved the below amenity. There was a card in my room indicating that the Westin offers complimentary room service coffee, which is awesome. This is the first time I’ve seen this at a Westin, as it’s something I’m only used to experiencing with butler service at the St. Regis. As a massive coffee addict, I thought it was awesome, and took advantage of it every day. Each time I was brought a pot of coffee with some chocolates. I wish more hotels would offer something like this. For what it’s worth, Tiffany arrived later that same day and got upgraded to a junior suite on a higher floor, #537. The room was also beautiful, and it consisted of a single large room with a king size Westin Heavenly Bed, a couch, a desk, and a chair by the window. The bathroom also featured double sinks, a shower, a bathtub, and a toilet. As an SPG Platinum member I chose the complimentary breakfast as my Platinum amenity, in lieu of 500 Starpoints. That benefit consists of full breakfast at La Rotondo Restaurant, which is the hotel’s restaurant located right off the lobby. The restaurant is under a dome and couldn’t be more gorgeous. The restaurant serves breakfast daily from 7AM until 11AM, and we usually had breakfast on the early side. The breakfast buffet is quite good. It’s certainly not up to what you might get at a Starwood property in Asia or the Middle East, though for Europe it was definitely above average. There was a good continental selection, including pastries, muffins, croissants, cereal, yogurt, cold cuts, fresh fruit, etc. Then there was also a good selection of hot options, including churros, scrambled eggs, sausage, bacon, quiche, pancakes, waffles, and even samosas. To work off the breakfast buffet, the hotel has a 24 hour gym, which can be accessed through the sixth floor. The gym is actually on the seventh floor, but to access it you get off on the sixth floor and can then take a separate set of stairs or an elevator up a further level. The gym wasn’t huge, though the equipment was modern and it never seemed to be full. It’s worth noting that the Westin Madrid has a great location, and was within walking distance of most of the places we visited in Madrid. We’ll have more on that in a future installment about our time in Madrid. Furthermore, if you’re as much of a coffee addict as I am, it’s worth noting that there’s a Starbucks in the same building as the hotel. While I’ll be the first to admit that Starbucks is far from the best coffee in the world, it’s nice to have easy access to coffee 16 hours a day. As far as the hotel’s staff goes, I was impressed by the service at this hotel, especially for a property as big as this. While it might not look like it, the hotel has almost 500 rooms, so it’s a huge property. I had a fantastic stay at the Westin Madrid, and it exceeded my expectations. It was anything but a “cookie cutter” Westin, as it combined the amenities you expect from a Westin with a unique property which has a 100+ year history. If anything, this felt more like a Luxury Collection property than a Westin. Between the rooms, public facilities, and location, I’d return in a heartbeat. This property can also be a great use of Starpoints, given that paid rates can get quite high here over the summer. 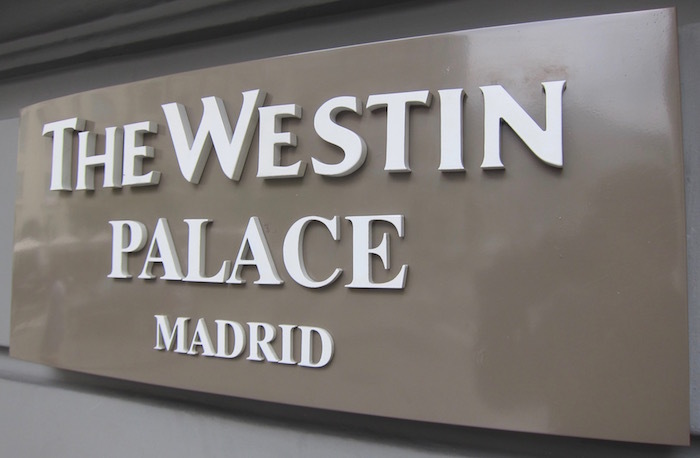 If you’ve stayed at the Westin Madrid, what was your experience like? I stayed here back in May with a couple friends. We’re not quite the ballers that Lucky is, so we *only* got a Junior Suite. I’ll echo the author’s review – this property was fantastic in just about every regard. Also, it’s within easy walking distance of the Prado Museum, great shopping, and other Madrid highlights. I think what’s wrong about accepting this comp is it’s gotten you to privilege some hotel review content over other reviews you are likely never gonna publish. They bought that power over you. You reviewed breakfast and even mentioned Continental separately, but I don’t believe you mentioned what they offered you for Platinum breakfast. Wouldn’t it make a lot more sense to use the Citi Prestige card for a four night stay here? 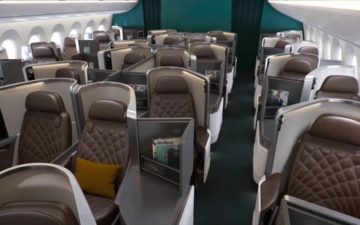 The Citi Prestige card would have saved you almost $300 on the stay, plus, you’d earn triple Citi Thank You points using the Prestige card (for hotel spend) which has to be a better return on what you earned using the Amex card. Technically this a very interesting and thorough review of a beautiful hotel…after a massive upgrade to a giant suite…as a Platinum member. Most guests will never be treated like this. Looks like a great hotel but this review only touches on what a commoner might expect. @LarryInNYC – pretty sure Lucky’s stay was free – a comp for being part of SPG Amex Stars. @Lucky, thanks for the review, I have a stay coming up in February and am pretty excited. I must say the exec suite looks much much nicer than the jr suite, so hopefully I can get upgraded to that. I was there with my family the same time you were there. Saw you having breakfast but didn’t want to bother you. I concur with your review of the hotel. Not sure if you had the opportunity to meet Jorge Santos who works in the Rotunda. He provided amazing service to my family and worked with the chef to prepare a gourmet dinner for my youngest boy who has severe food allergies. They even made him a special egg free mousse for dessert. It was the best dinner of his life and he commented, “Dad, I think I like fancy.” This hotel is probably one of the best managed out there. Kudos to the GM Pablo Flores for keeping such an incredible team. This is an old world hotel with solid service provided by professionals that take pride in their jobs. I have stayed here during easter 2015 and i agree that the junior suite is very pleasent for two persons. Unfortunately there was a mix up and reception thought we were occupying with 4 so we got two extra beds and of all the amenitiesx4. It was actually funny and we didnt have the heart to tell them to rearrange the furniture back again. Breakfast is excellent with choice enough for everyone, the waitstaff are very polite and fast on clearing dishes. I do have to agree that if you stayed on a starwood invite you could have asked them to show you all possible room catagories to be reviewed and analyzed. I have asked before at Hyatts and Intercontinentals and dependent on occupancy they will try at least to show you the different rooms:standard/superior/deluxe or suites:junior/executive/special as to try to entice you to book with them for future plans or to at least make an informed decision for future reference. I recently stayed here as well and would echo that even as a non-famous person I thought the service was really excellent across the board, and much better than the somewhat similar Westins in Paris, Berlin, and Rome. I’m not sure I would agree that it should be a Luxury Collection property though. In my experience a lot of Luxury Collection properties are just … a bit off. I certainly have never had one with service anywhere near as good as this hotel. I’d sooner put this in the ranks of “elite Westins”, as there are some top-notch properties in the Westin portfolio. Westin Sydney being one for example. Reminds me of the United Club — those towers look a bit like the United Club one. However, the stuff inside looks much much better. I’m drooling at the churros. Can you please keep me one next time you go? I have stayed at The Palace 12 times. My first visit was in 1976 and was also my first visit to Spain. The hotel has had only minor changes since then and I totally agree with you that the service and ambience is incredible. The breakfast in the rotunda was one of my favorite things to start the day. Since I am only SPG Gold, my upgrade was to a superior room on a high floor , but with a great view of the Neptuno fountain. I have an upcoming stay in March and am looking forward to it. It comes at the tail end of a two month stay in Torremolinos.If you ever want some restaurant suggestions let me know. Memories! My wife and I were there almost 9 years ago and we brought my son, daughter-in-law and their almost 2 year old. We were upgraded to the top floor sweet – upper left rotunda as you look at the building – and our son was upgraded to a connecting Junior Suite. Yes, I was a Platinum but this was basically a 2 bedroom apartment sans kitchen. It was magnificent – three wonderful nights we won’t soon forget. We were finishing up a week in Marbella. Great, great memories. Thanks for the review; been looking at this prop for a possible upcoming trip. Lucky, on a scale of 1 (not at all) to 5 (extremely), how likely is it that the hotel or other parties responsible for getting you the upgrade did so because of your blogger status and/or the positive publicity such an upgrade would garner for them? @ Hans Mast — Platinums were offered the full buffet in the restaurant, or the option for a Continental room service delivery. @ Geoff @ mdtravel — This hotel is known for fantastic treatment of SPG Platinums. When I checked in (~10 hours after Ben), the front desk agent apologized for not having a full suite to offer me, and pulled out a schematic of all the rooms so I could select the Junior Suite that looked most appealing. So I think other elites at least would have a similar experience. @ TrvlGuru — Next time say hi! 1) Some aspects look old and tired. Especially the fixtures and little decor things. For example, the countertops in the bathrooms. The trash bins, the tissue paper box, and so forth also look out-of-place for the otherwise palatial decor. The carpeting in the living room looks tired. 2) The placement of the desk is unusual. You’d think they would have it by a window. 3) Was the free coffee delivered promptly? The picture you posted says you receive a cup, but you apparently received a pot. Is this standard? And is it only for SPG platinums? Was there no coffeemaker in the room? I’d actually prefer coffee delivered because I don’t think the in-room drip coffeemakers and cups are ever clean. I’ve seen those undercover TV shows on hotel housekeeping. 4) The buffet looks halfway decent for breakfast, although some of the food doesn’t look like it is being kept cold or refrigerated by anything. That’s a huge food safety concern. 5) Were any bathrobes or slippers provided? 6) The junior suite doesn’t look like a suite, except for the sofa couch. 7) What was the TV channel like? Nothing worse than being stuck in a foreign, non-English-speaking country and not having anything but CNN International to watch in English.